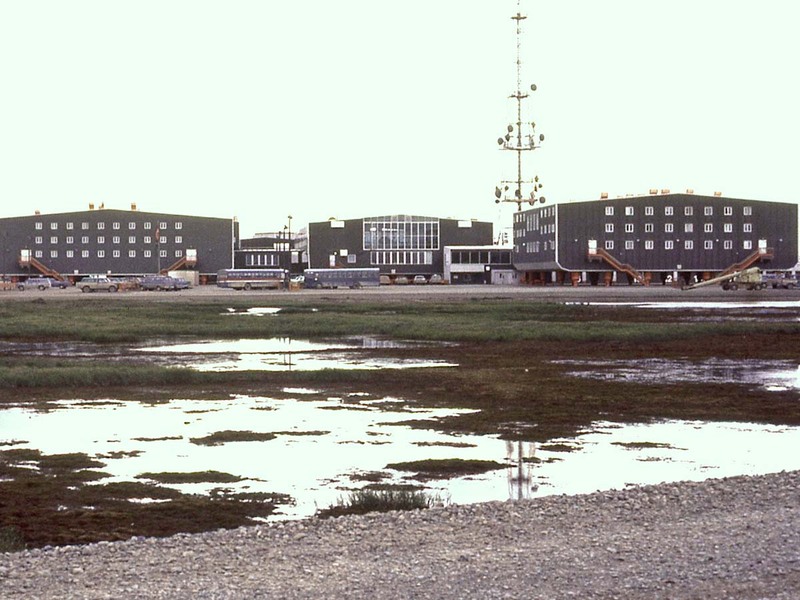 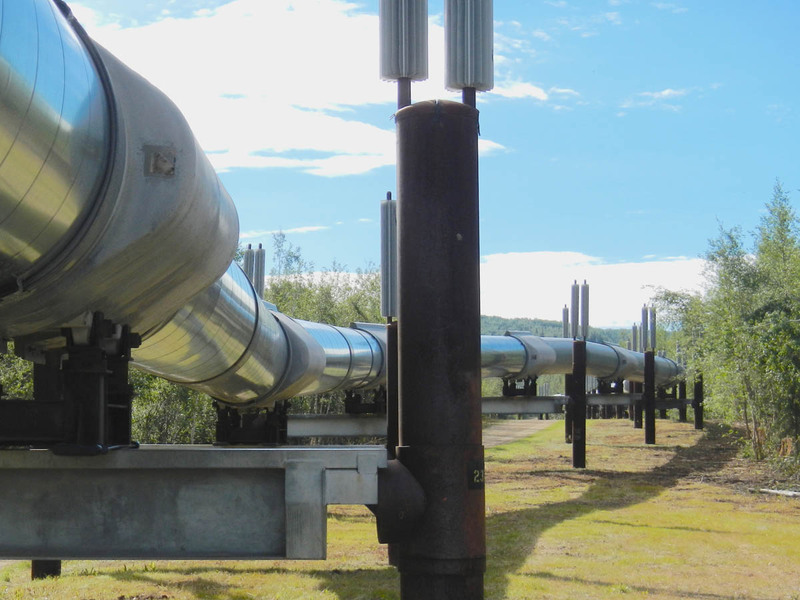 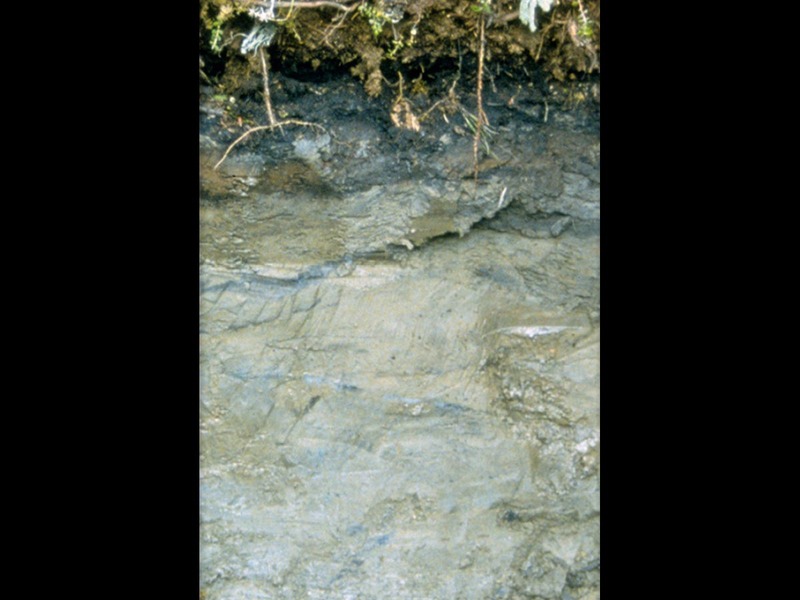 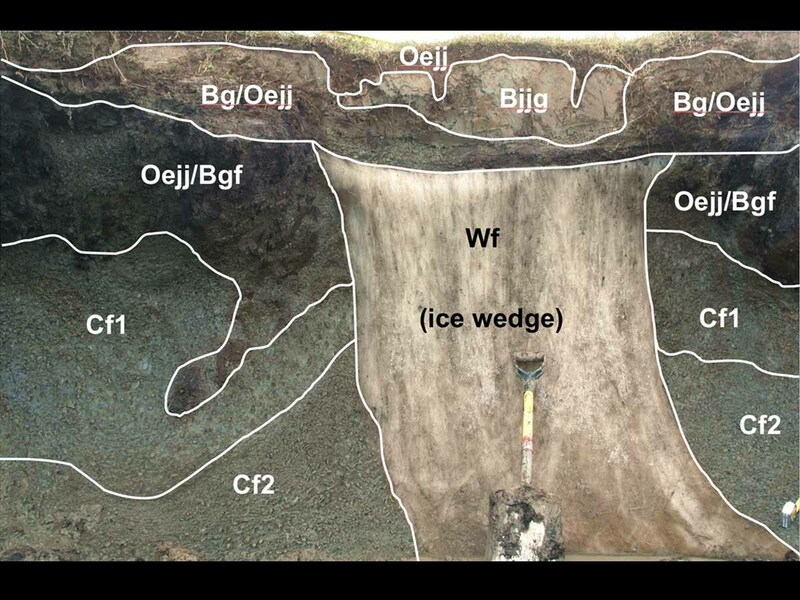 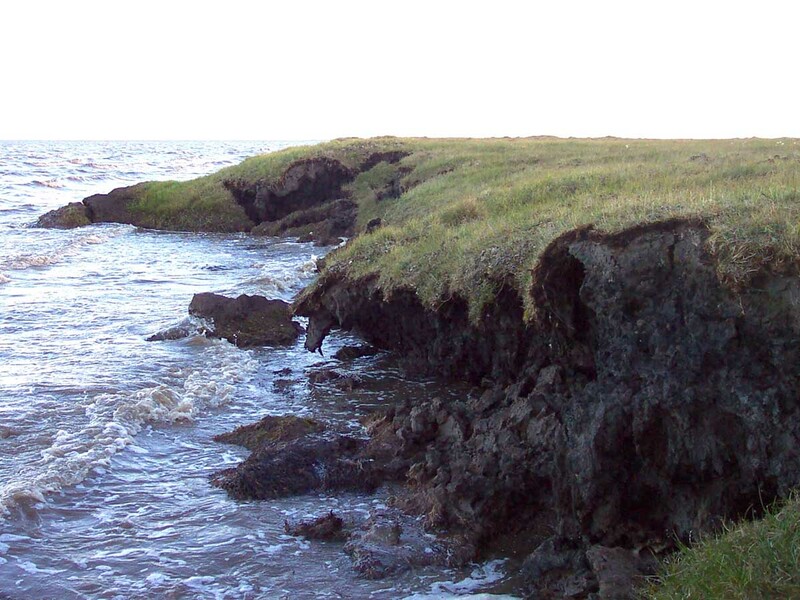 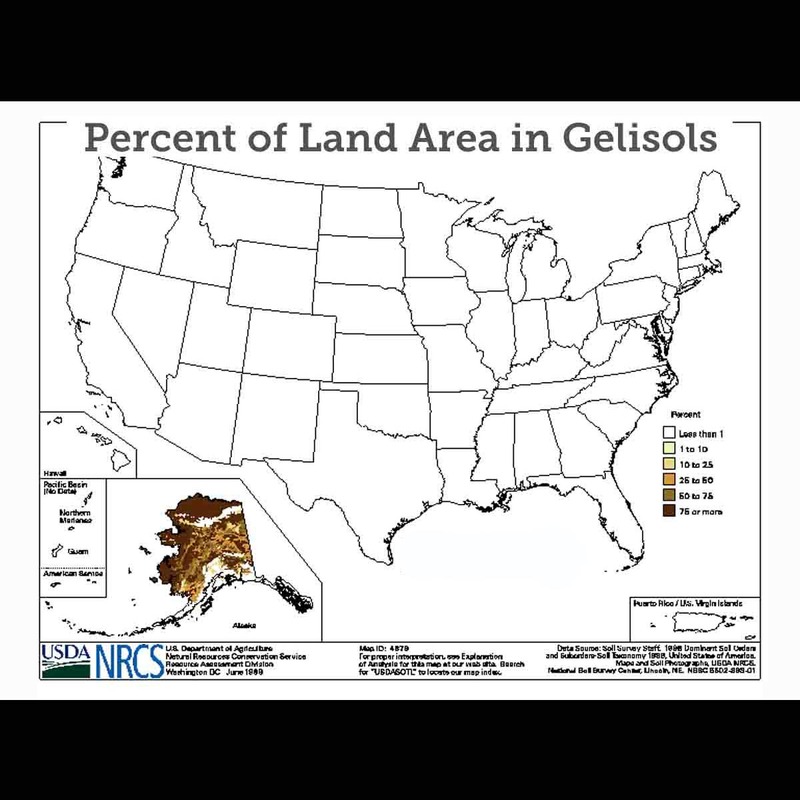 Gelisols (from Latin gelare, "to freeze") are soils of very cold climates that contain permafrost within two meters of the surface. 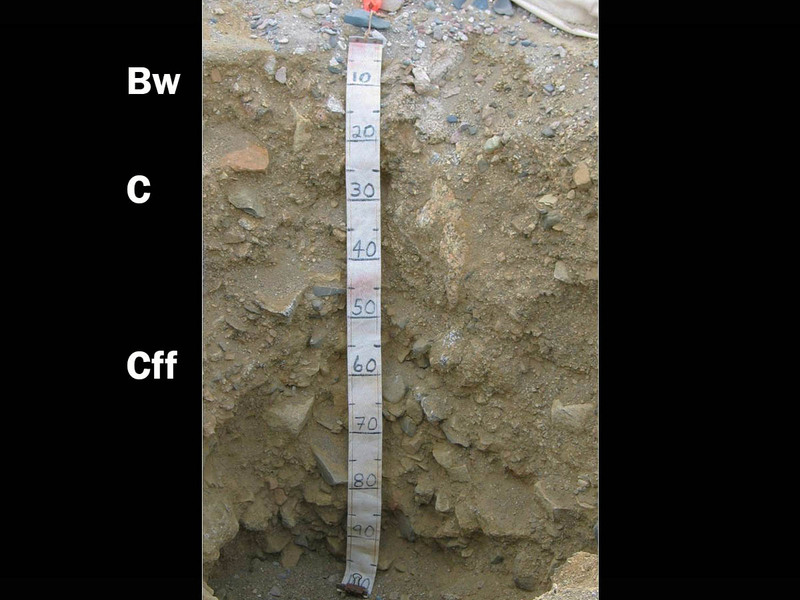 These soils are limited geographically to the high-latitude polar regions and localized areas at high mountain elevations. 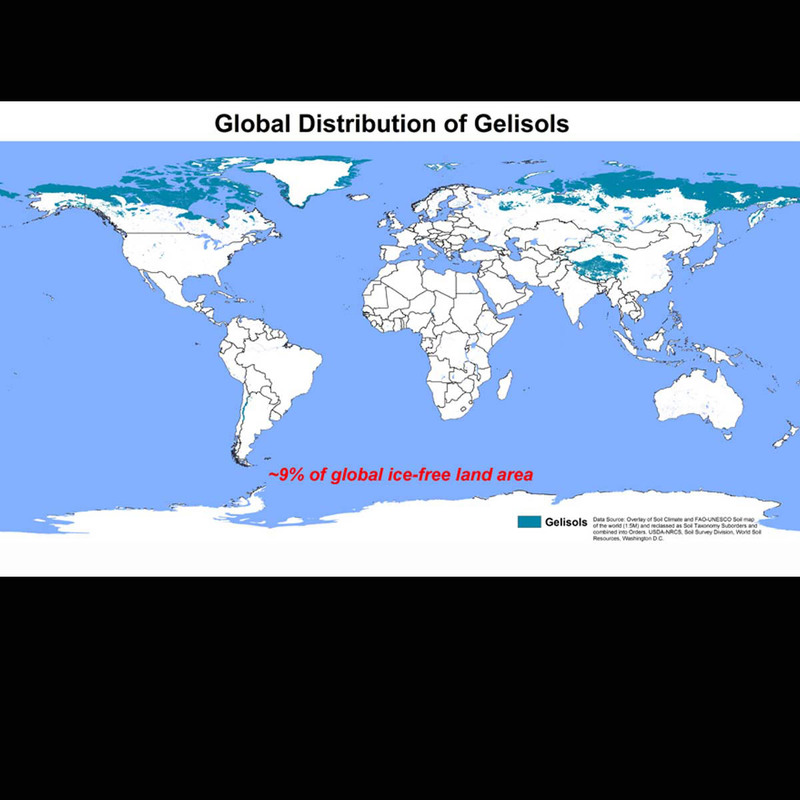 Because of the extreme environment in which they are found, Gelisols support only approximately 0.4 percent of the world's population — the lowest percentage of any of the soil orders. 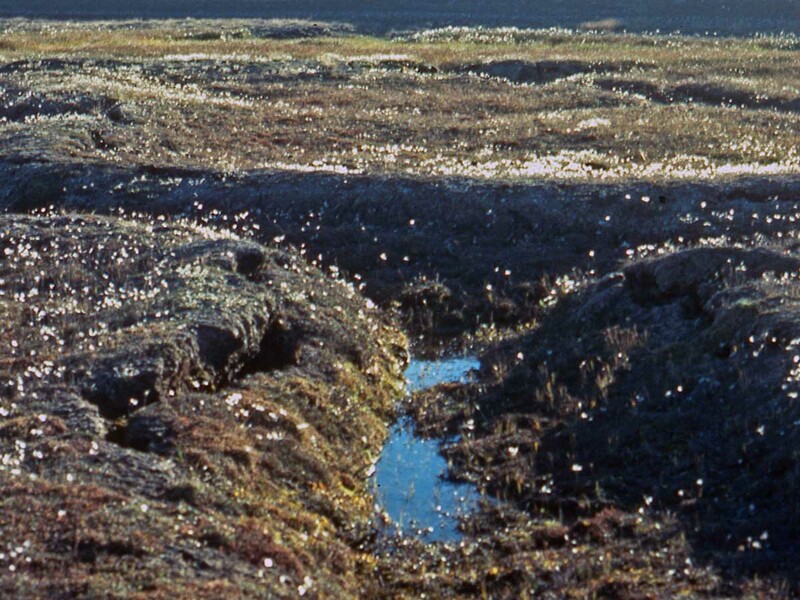 The frozen condition of Gelisol landscapes makes them sensitive to human activities. 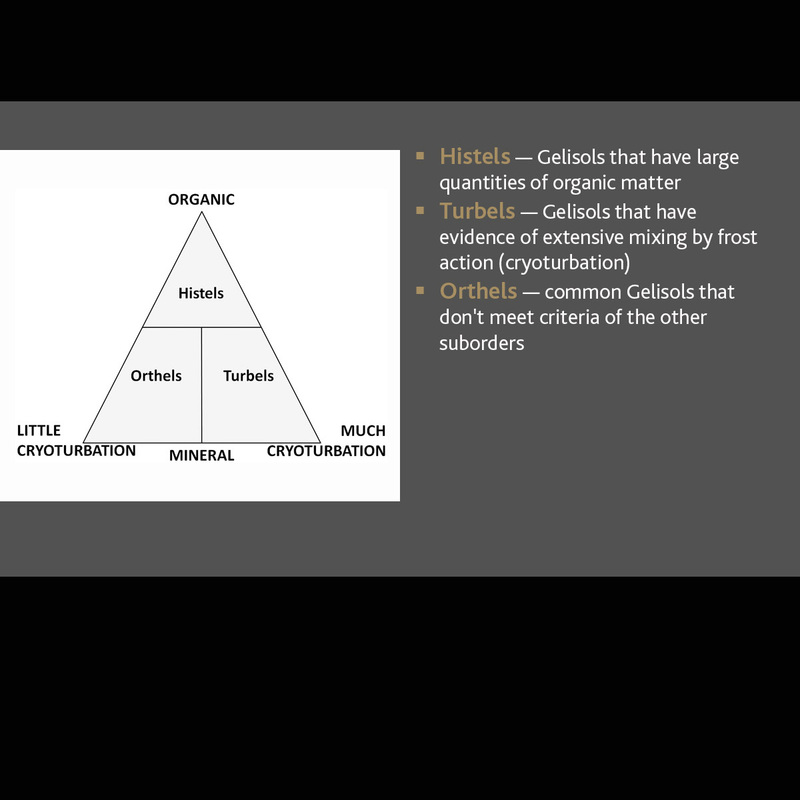 They are divided into three suborders: Histels, Turbels and Orthels. 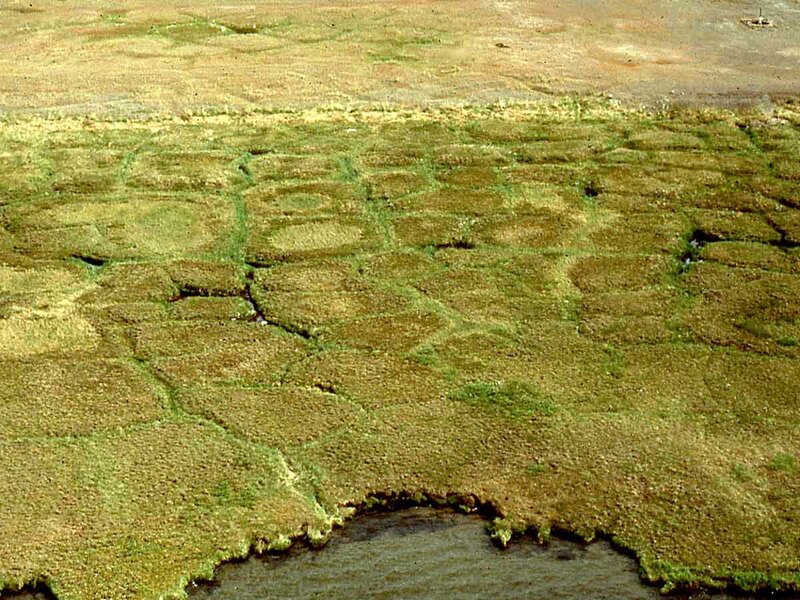 Although some Gelisols may occur on very old land surfaces, they show relatively little morphological development. 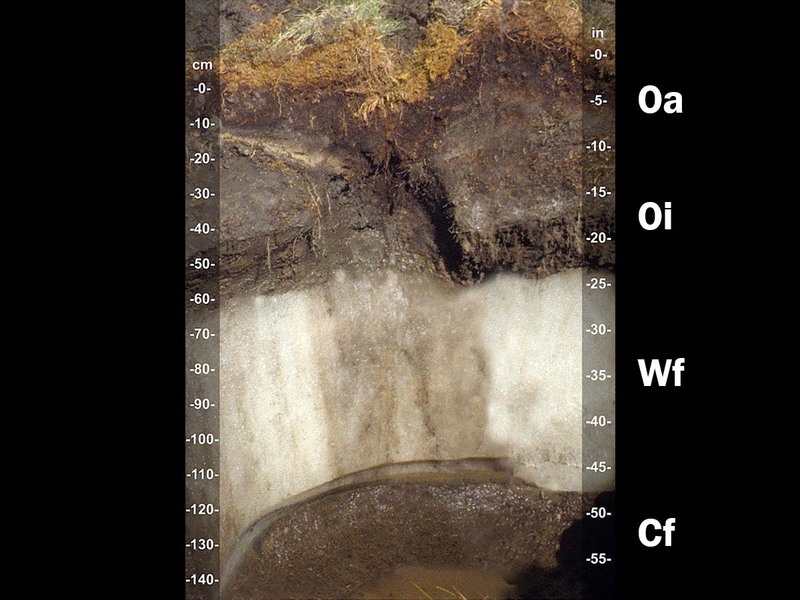 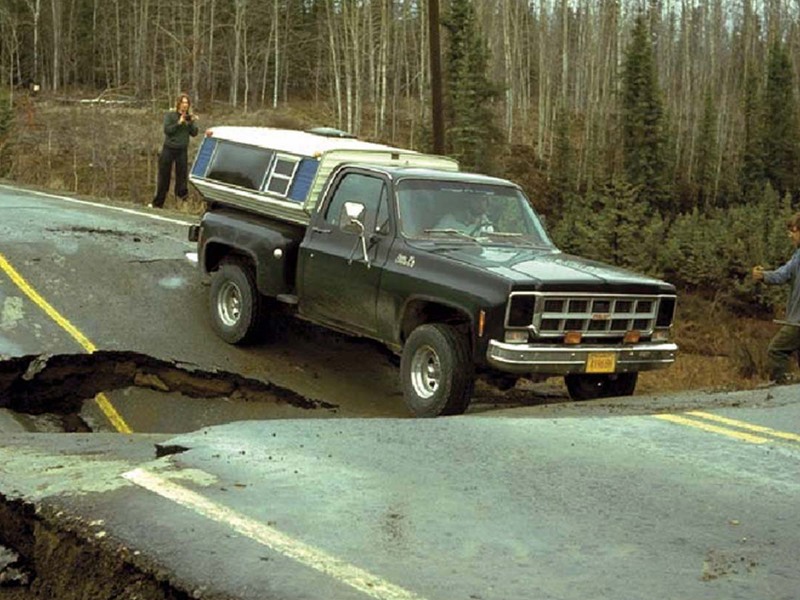 Low soil temperatures cause soil-forming processes such as decomposition of organic materials to proceed very slowly. 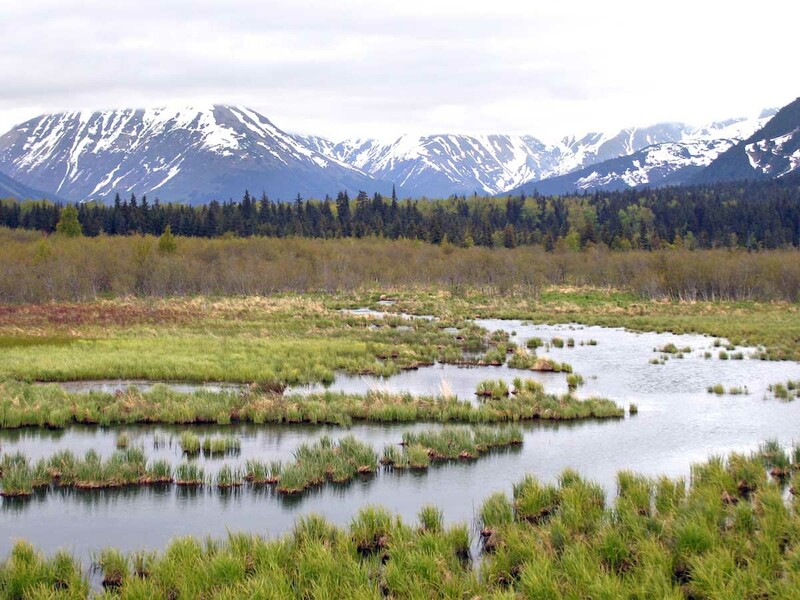 As a result, most Gelisols store large quantities of organic carbon — only soils of wetland ecosystems contain more organic matter. 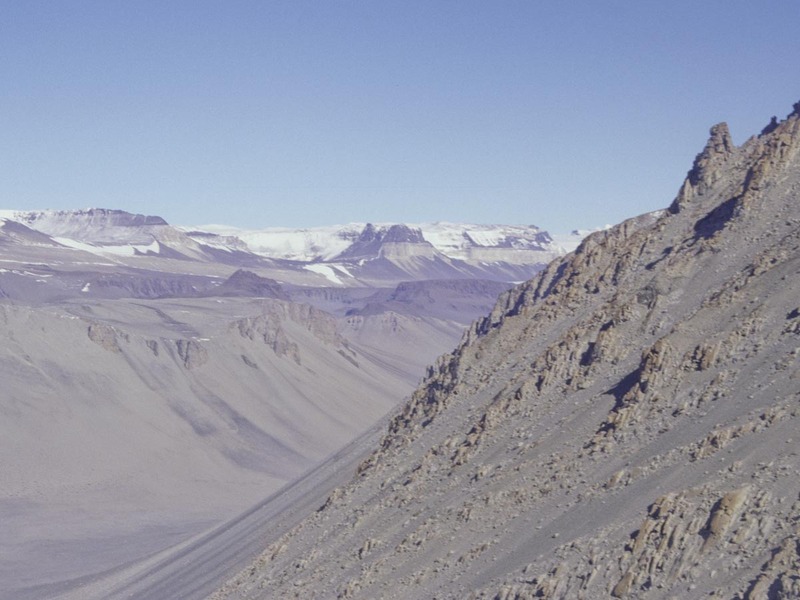 Gelisols of the dry valleys of Antarctica are an exception — they occur in a desert environment with no plants and consequently contain very low quantities of organic carbon. 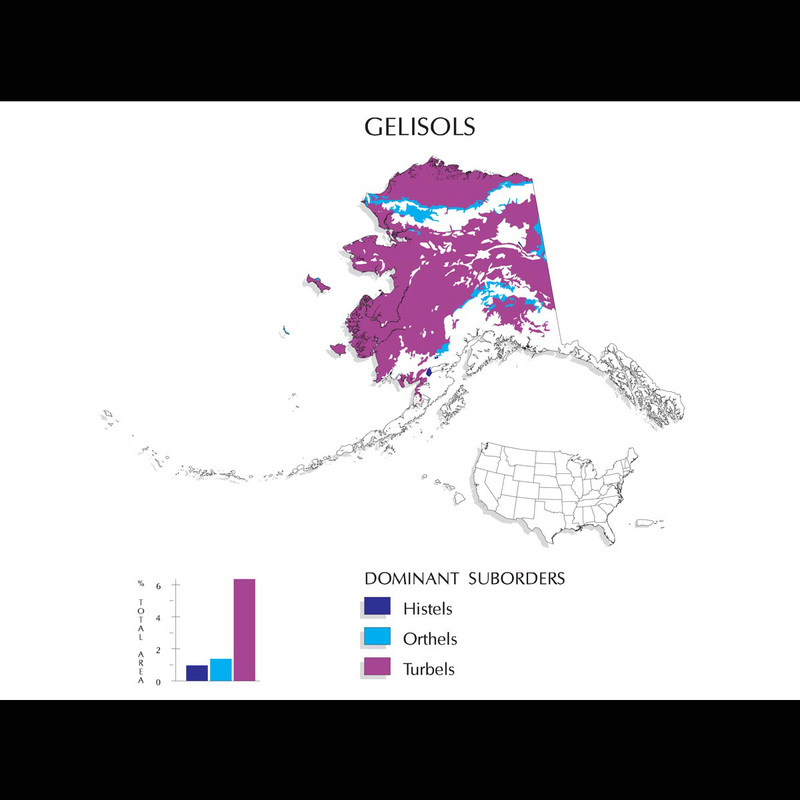 They are estimated to occupy approximately 9.1 percent of the earth's ice-free land area and approximately 8.7 percent of the U.S.